We are a small, committed team and a proud social enterprise. We employ refugees, those seeking asylum and recently arrived migrants in our community, as well as others who may be finding it tough. We foster learning, understanding and growth together because we all know that supporting each other in a daily kind of way is where it’s at. Through our role as a food connector, and with your help, we knit our neighbourhood together with carrots and apples and the best eggs you can buy. Our farmers are conductors of soil, sun, seeds and water. Our makers take ingredients to create foods that nourish and products that delight us. We encourage them when they start out and we stick with them through good seasons and bad. CERES Fair Food started as a staff food co-op in 2004 on a picnic table outside the original CERES office. It was an affordable, social way to buy organic food as group where we always knew where our food was coming from. Each week a couple of different CERES workers would take their turn packing the weekly boxes for the other staff members. Pretty soon word spread into the community and within a couple of years CERES was supplying 12 self-organised neighbourhood co-ops around the inner Northern suburbs of Melbourne. 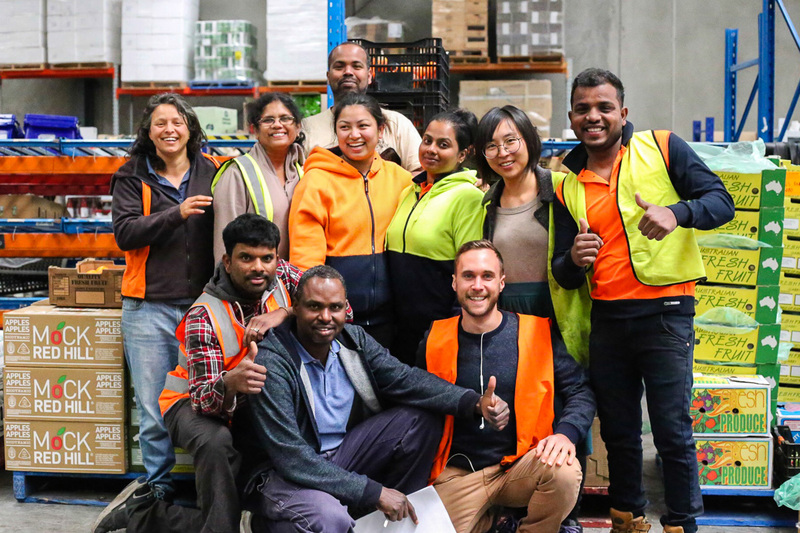 In 2010, inspired by Toronto’s Good Food Box, Brisbane’s Food Connect and with help from the Federal Government’s Jobs Fund, our loose group of CERES co-ops became a social enterprise for online fruit and veg boxes called CERES Fair Food. We sourced food from our own Joe’s Market Garden and the farmers who’d supplied CERES Grocery for so many years. And in an increasingly cruel and fearful political environment we provided crucial entry level jobs to asylum seekers and new arrivals. Fair Food grew quickly and was soon dropping orders to over 70 volunteer Food Hosts (pick-up points) all over Melbourne. Over the next few years, with lots of generous feedback from passionate customers, Fair Food changed from a simple organic produce box service to become more of an online organic supermarket. We made lots of small improvements and big ones like carbon neutral home delivery for people who couldn’t make it to Food Hosts. And after each improvement we made we grew and grew. From 2010-2017 at the Northcote site we also ran a commercial aquaponics system growing herbs and leafy greens and rainbow trout. In 2015 a trial looking into sprout growing spawned Fair Food’s Organic Microgreens. We championed Crowdsaucing to encourage Melbournians to get together and bottle locally grown tomatoes instead of the imported Italian tins that we sell. In 2017 we moved from our Northcote home to a new warehouse in Preston and continued updating new features into our website part-funded by a successful crowd-funding campaign and became self-powered after installing 240 solar panels. Today CERES Fair Food is one of Victoria’s largest organic retailers. We support over 100 organic farmers, makers and suppliers, deliver to homes & over 70 Food Hosts, employ more than 40 people (over a third of us began as asylum seekers or new arrivals) and all our profits go to fund CERES environmental education programs – teaching kids and adults how to better care for our planet. What is CERES Environment Park? 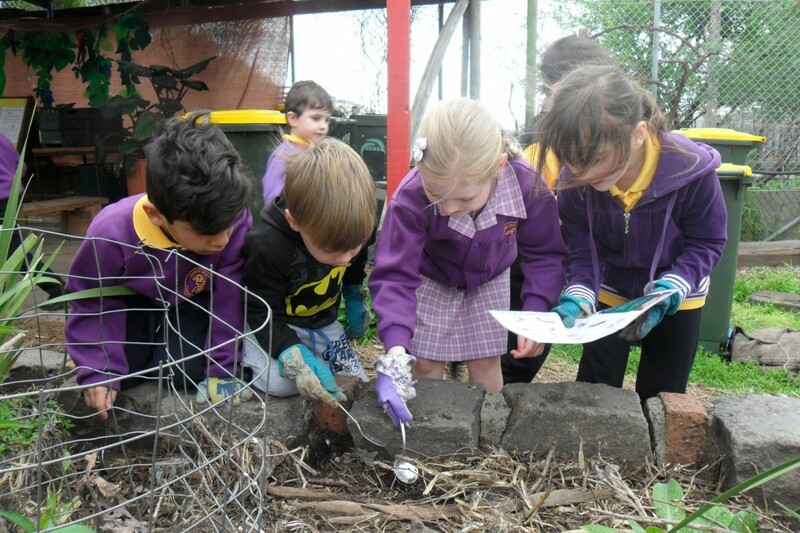 In 1982 from the passion and commitment of the local community CERES (pronounced ‘series’) was born on the banks of the Merri Creek – a 10 acre ex-tip site transformed into an organic farm, community garden, environmental demonstration centre and kids playground. Today CERES runs extensive environmental and cultural education programs for children and adults, with approx 1 million people visiting the park, learning in affiliated schools or interacting online. CERES is recognised as an international leader in community and environmental practice and has won many awards including the United Nations Australia World Environment Day Award and Premiers Sustainability Award. It proudly maintains its financial and political independence through 18 social enterprises including Fair Food, CERES Nursery, The Merri Table, Tamil Feasts, Joe’s Market Garden, The Organic Grocery and Fair Wood. Find out all about them here.